This is a signed and numbered limited edition (250) reproduction of an original pastel. 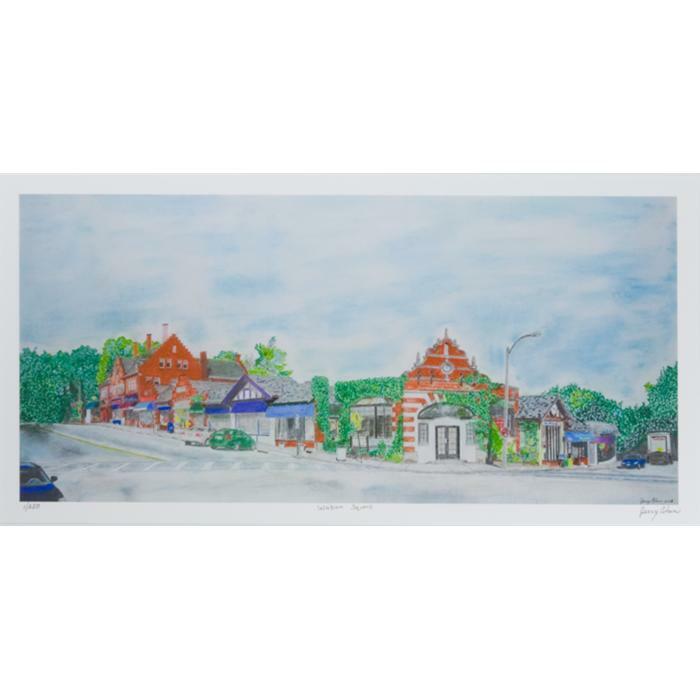 The artwork showcases Waban Square, a community hub and shopping area located in the Waban neighborhood of Newton, Massachusetts. Image size: 37" x 17-3/8"
Paper size: 40" x 20"